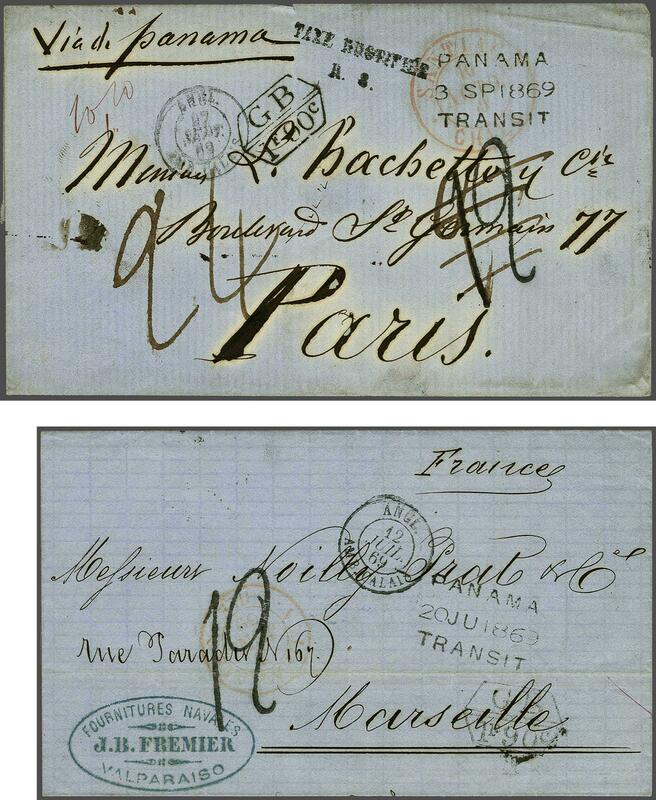 1869: Covers (2) to France from Valparaiso and Santiago, the earlier cover at single rate and charged '12' décimes with three line dated PANAMA / TRANSIT and "GB / 1F 90c." accountancy marking, the second cover with same markings and charged at double rate on arrival with '24' décimes in manuscript and '12' handstamp deleted with scarce TAXE JUSTIFIÉE handstamp in black. A scarce pairing.